This mid-winter trip is about seeking that zone of glorious powder skiing. We don't range far from pemberton but that's ok because good ol' pemby has a diverse selection of options that deliver the goods. 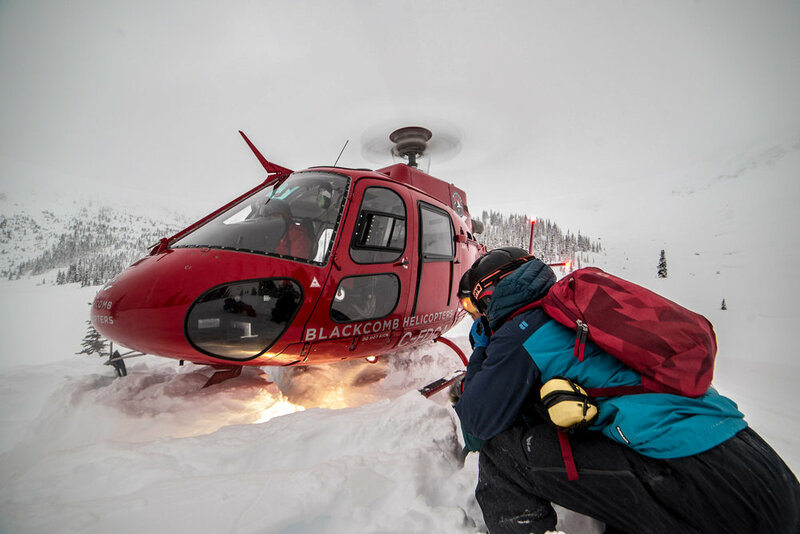 Join acmg guides in this heli accessed trip and enjoy hot gourmet backcountry meals dealt out by a camp chef at the end of day in our makeshift 'lodge'. This is for those who have ski toured for some seasons and are looking for a unique backcountry experience to get out and shred some of that Pemby Powder. Your guides will be doing more of the guiding to offer you the goods with opportunities for coaching and to get you out front. Each of the three evenings will offer opportunities for story telling in the glow of our makeshift 'lodge'. Such telling of stories is a great way of passing on experience, developing bonds and learning. Our basecamps are also a comfortable way to to develop winter camping experience. Please come with good fitness. Ability to walk a slow or steady pace all day and comfortably exist in the mountains for 5 days. 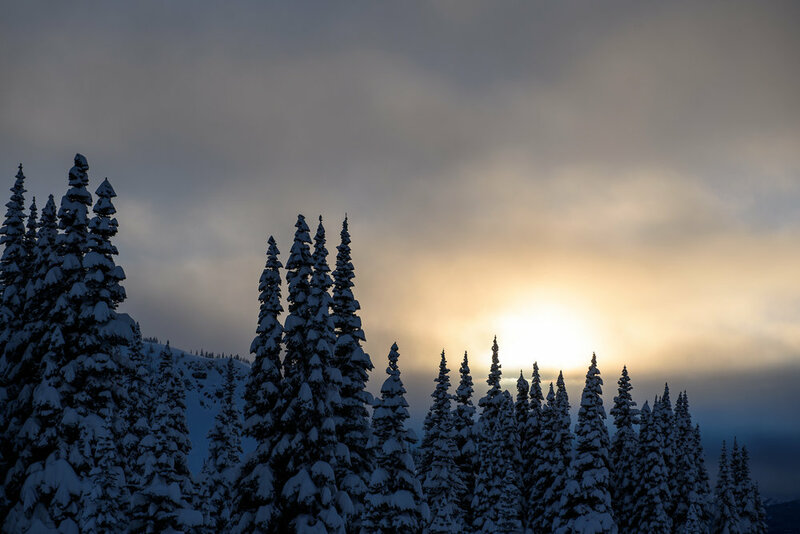 Expect minimum 800m of elevation per day and to ski black diamond runs or harder in variable conditions. We'll meet at Pemberton's Mount Currie Coffee company dark & early to meet and greet and then shuttle to the airport and then possibly a staging area. Please have winter tires if you intend to drive from Vancouver. After flying into our camp location we'll set-up the tents, run through some avalanche basics before heading out for an afternoon ski. Short daylight hours and flying weather may play into our ability to ski on day one. In the evening we'll have stoves firing, tea brewing and hot cups of food. Informal discussion, story telling will surround the steam and glow of our makeshift backcountry 'lodge'. 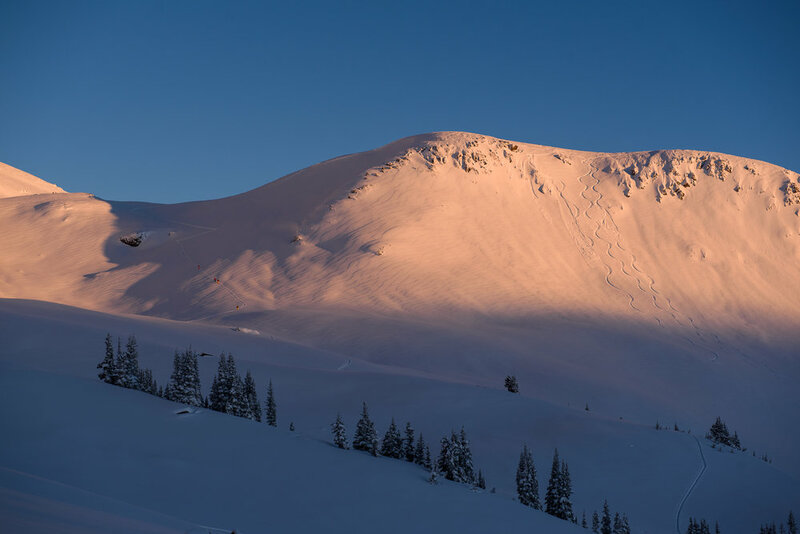 An early-ish wake-up will ensue with breakfast and a full day in the mountains with your guides. This is where we'll range a little further, maybe bag a peak and delve into a full spectrum of snow conditions. In the morning we'll sadly pack up the tents despite having found new pleasure in the routine. We'll leave the heavy gear to head out for a final loop tour before the heli arrives to pick us up in the afternoon. There may also be an option for skiing out of our basecamp location also. Finally we'll have the option to end at up Mile One for a tasty bite of civilization or we'll scatter like the wind! Food is provided and simple dietary accommodations can be made. More complicated dietary restrictions may incur an extra cost. Our meals are 'gourmet backcountry'. Delicious and hearty meals dealt out of a makeshift snow kitchen. Select additions that apply for you. Price does not include tax and is in Canadian Dollars. Full payment or deposit (20%) must be made to book your spot.